“Empty vessels, sound much,” said, Milan Barbhuiya, father of Aryan Barbhuiya, one among the four Barak cricketers who went to take part in a cricket camp in Guwahati on 22nd January, last. Having found toothpaste smeared on their head on the morning of 23rd January, by some fellow cricketer of this camp, the matter raced up to a racial slur, which made headlines. Silencing all whispers and media reports that flashed even in national dailies for the past two days, parents of the three out of the four boys that attended this trial camp, along with Cachar district coordinator for School Sports Promotion Foundation (SSPF), in a press meet in Silchar on Saturday, acknowledged that the issue had been blown out of proportion. Milan Barbhuiya made the point clear by addressing the waiting journalists that if some vessels were kept together, they definitely were bound to make some ‘noise’. 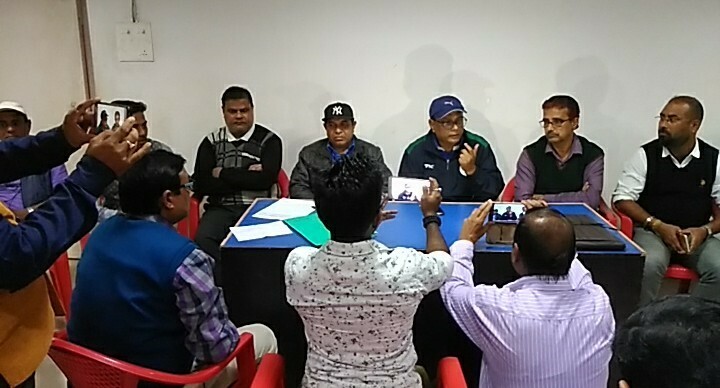 While, Gautam Hazarika, state coordinator for SSPF, briefing the media in Guwahati on Thursday last, said, that the cricketers’ allegations are baseless, founder President of All Cachar Karimganj Hailakandi Students Association on Friday in a press meet asked for Chief Minister to conduct an enquiry into the whole matter. One senior journalist rightly put it out; there is a big ‘hole’ in the whole matter.